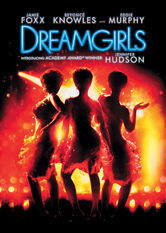 Dreamgirls (2006) on Netflix Ireland. Check worldwide Netflix availability! If Dreamgirls isn't available in your country, or you are visiting a country where it isn't, there is still a way to watch it! Tensions arise for 1960s girl group the Dreams when manager Curtis demotes the talented Effie, replacing her with the more marketable Deena. An African-American girl group skyrockets to fame in the 1960s. Big hair, back stabbing and great songs.